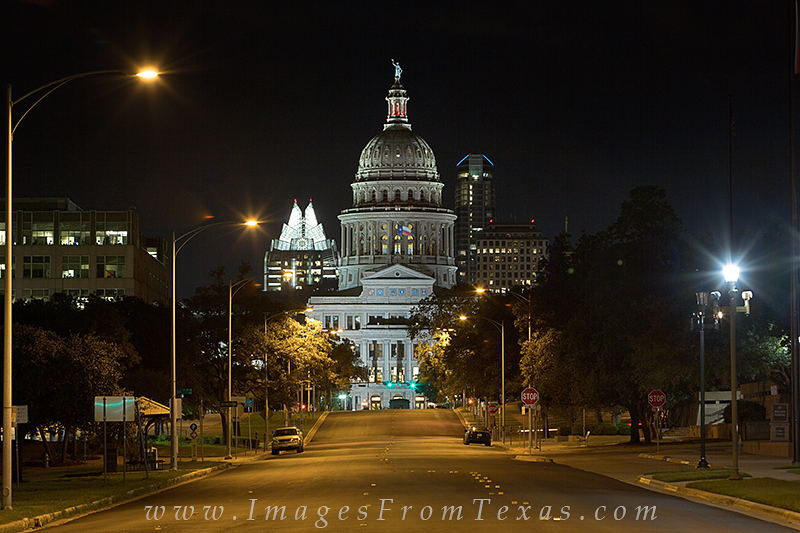 Nestled into the Austin skyline is the capitol of Texas. This view looks down Congress Avenue - south - at the cityscape of Austin. In this street level view of downtown, the capitol appears to be nestled between the Austonian, Austin's tallest building, and the Frost Bank Tower, one of the most recognizable buildings. Photo © copyright by Rob Greebon.